Old Dominion (OD) believes that doing good for the environment is good for business and we are committed to ensuring our operations are as efficient as possible. We've incorporated a significant amount of technology into our service centers and equipment to drive operational efficiencies and help minimize our environmental impact. 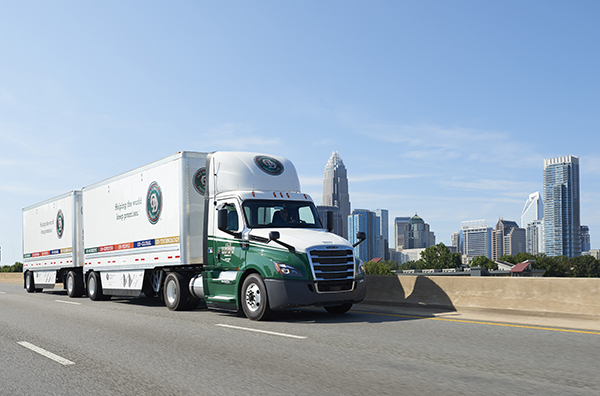 Since our founding in 1934, we've grown from a southeast regional carrier to a national operation with 235 geographically dispersed service centers across the 48 contiguous United States. In 2018, we added seven new service centers that should provide additional capacity for future growth while also improving the efficiency of our operations. Installing energy-efficient lighting with LEDs and motion detectors to help minimize electricity in all new service centers. We have also been working to retrofit existing locations as well as our corporate headquarters in Thomasville, North Carolina with this same technology. Installing environmentally-friendly equipment, such as electric hand dryers and automatic faucets, to lessen consumption in our new service center construction projects and remodels. Using high efficiency fans in our maintenance shops for more efficient climate control. We built a LEED-certified service center in Canton, Ohio in 2011. As a result of going through this process, we have been able to incorporate what we learned about sustainable processes in the subsequent construction or remodeling of other OD service centers. 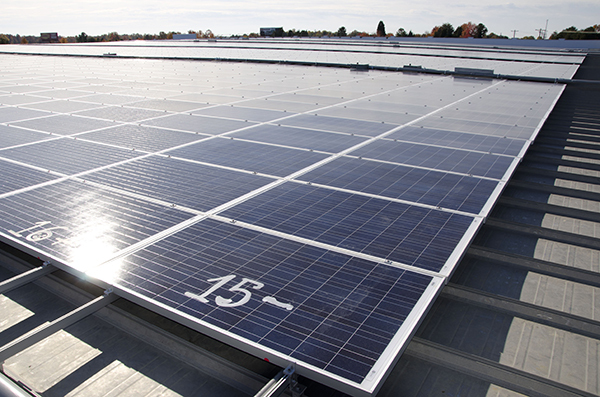 In 2011, we installed a 1.8-megawatt, roof-mounted solar installation on our Thomasville, North Carolina warehouse. At the time of installation, it was the third largest roof-mounted solar installation in North Carolina. 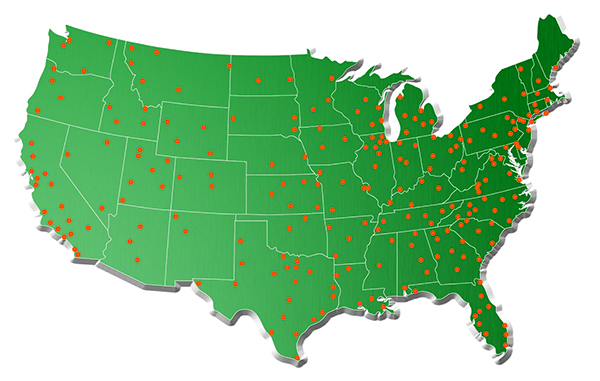 We believe OD's operations are more efficient than any other LTL carrier. In 2018, we invested $185.2 million in new tractors, and the average age of our tractors was just 3.5 years at December 31, 2018. By utilizing a newer fleet of tractors, we believe we are well-positioned to utilize the most up-to-date technology for the types of tractors that constitute our fleet, including greater engine efficiency, lower emissions and more aerodynamic design than many older tractor models. We primarily utilize our newest and most fuel efficient equipment in our linehaul operations, which is where we drive the majority of our miles. Custom-Built Tractors: We collaborate with manufacturers to custom build our tractors, enabling us to tailor our vehicles' specifications for OD's particular usage profile. These specifications include custom gearing and use of speed limiters to help maximize our fleet's efficiency. Linehaul Transportation: We gain efficiency through the use of twin 28-foot trailers. We also utilize long-combination vehicles, such as triple 28-foot trailers and combinations of 48-foot and 28-foot trailers, in states where permitted. As a result, more freight can be transported behind our tractors than could be otherwise transported by one trailer. Efficient Design: We achieve enhanced fuel economy and reduced emissions by leveraging trailer skirts, air dams and deflectors on our tractors and linehaul trailers to help minimize air resistance at highway speed. 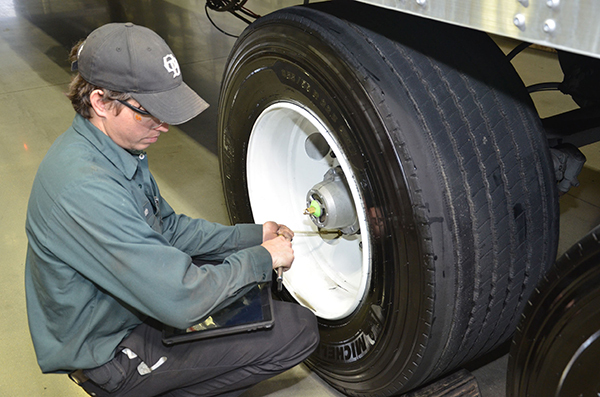 Tech-Savvy Tires: We have incorporated low rolling resistance tires throughout our trailer fleet to help drive fuel efficiency. We also use automatic tire inflation systems, which are designed to keep tires inflated to the optimal level for peak fuel economy. Fuel Efficiency: Each of our tractors includes a telematics system that allows us to assess certain driving and operating statistics, including miles per gallon, by unit and driver. We utilize this data to help manage the efficiency of our fleet. Coupled with our no-idle policy, this helps reduce unnecessary fuel use and emissions. 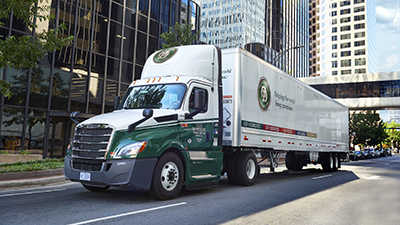 Strategic Routing: OD leverages comprehensive route and load planning tools to help minimize the miles traveled in our network. Our tractors are equipped with GPS navigation, so our drivers have clear directions when dispatched for the most efficient routes. Using a trailer prioritization system, we prioritize freight and transit times to help reduce unnecessary trips or partially loaded trailers. ASE-Certified Maintenance: We have a comprehensive maintenance schedule with National Institute for Automotive Service Excellence (ASE)-certified technicians in our maintenance shops, who help keep our tractors operating at peak efficiency. We take pride in the appearance of our trucks, as we believe clean trucks are a reflection of our customers as well as OD. 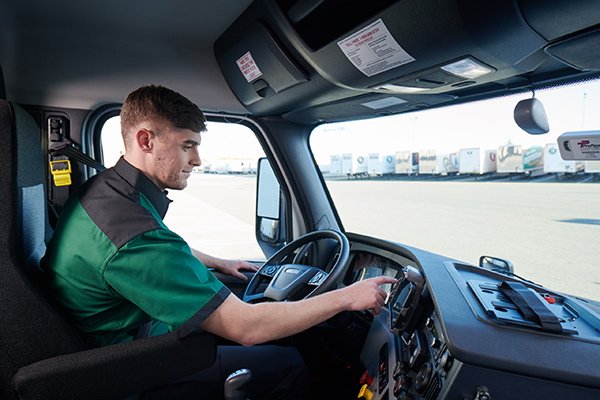 To minimize water use when washing our trucks, we recycle truck wash water in our service centers in Memphis, Tennessee; Denver, Colorado; Fort Wayne, Indiana; and White Pine, Tennessee. Many OD service centers have pallet recycling programs, so damaged pallets can be recycled or repurposed. We also recycle oils, filters and scrap metal from our maintenance shops, which has a significant impact in a fleet with more than 9,000 tractors. Within the service center network and our corporate office, we have incorporated centralized printing to minimize paper use. We also invest in paper shredding and recycling to further minimize the impact of our paper use. In addition, we have installed filtered water bottle refilling stations so our employees can bring reusable water bottles to work - reducing plastic bottle usage and disposal.